Bead, antiqued silver-finished copper-coated plastic, 12x10mm textured oval. Sold per pkg of 50. Give jewelry designs a metal bead appearance without the weight. 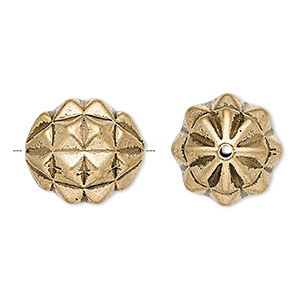 Copper-coated plastic beads have a solid core that holds its shape, while offering a lightweight style. 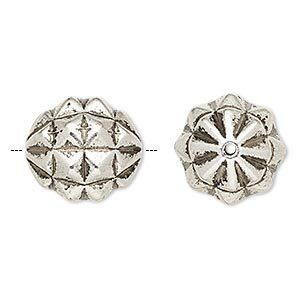 Copper coating provides a reliable base for the antiqued silver finish. Size, shape and color may vary. Bead, antiqued silver-finished copper-coated plastic, 22x20mm textured oval. Sold per pkg of 10. Bead, antiqued silver-finished copper-coated plastic, 16x6mm dotted rondelle. Sold per pkg of 50. Bead, antiqued gold-finished copper-coated plastic, 22x20mm textured oval. Sold per pkg of 10. 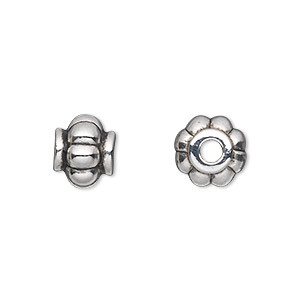 Bead, antique silver-finished copper-coated plastic, 12x10mm barrel with flowers and 3.5mm hole. 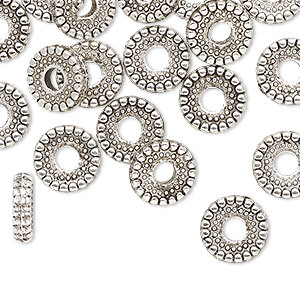 Sold per 50-gram pkg, approximately 55 beads. 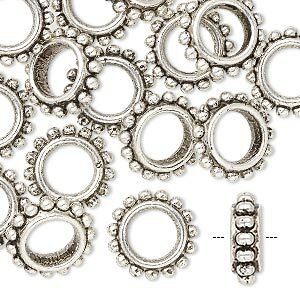 Bead, antiqued silver-finished copper-coated plastic, 10x3mm beaded rondelle with 3mm hole. Sold per pkg of 125. 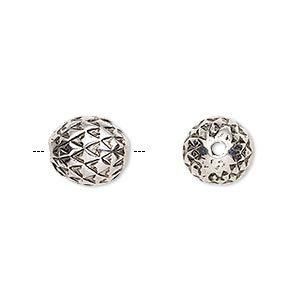 Bead, antiqued silver-finished copper-coated plastic, 14x4mm beaded rondelle with 7mm hole. Sold per pkg of 75. 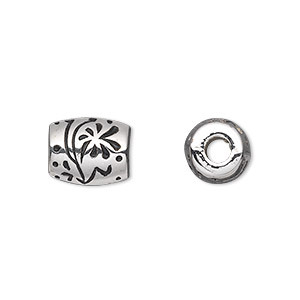 Bead, antiqued silver-finished copper-coated plastic, 12x5mm rondelle with oval design and 4mm hole. Sold per pkg of 75. 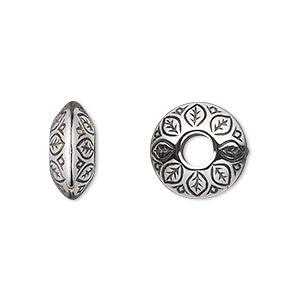 Bead, antiqued silver-finished copper-coated plastic, 14x7mm rondelle with leaf design and 4.5mm hole. Sold per 50-gram pkg, approximately 65 beads. 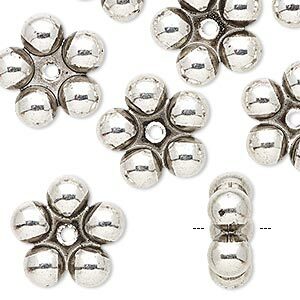 Bead, antiqued silver-finished copper-coated plastic, 8x4mm beaded rondelle with 2.5mm hole. Sold per 50-gram pkg, approximately 400 beads. 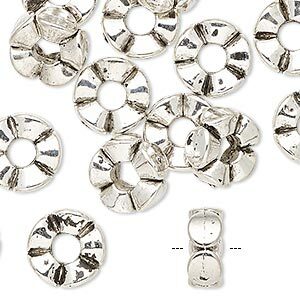 Bead, antiqued silver-finished copper-coated plastic, 11x9mm ribbed rondelle with 3mm hole. Sold per 50-gram pkg, approximately 120 beads.